A new trend appearing for AW 16/17 is Native; a mix of craft, nomadic influences and natural tones alongside strong pattern and print on soft furnishings and furniture. Patterns to look out for a zig zag, arrows and contemporary Aztec. Colour plays a big role with statement rugs and throw bringing a room to life. Perhaps look at macrame wall hanging to bring texture and interest to a space, mixing it alongside prints and artwork to create a feature wall. 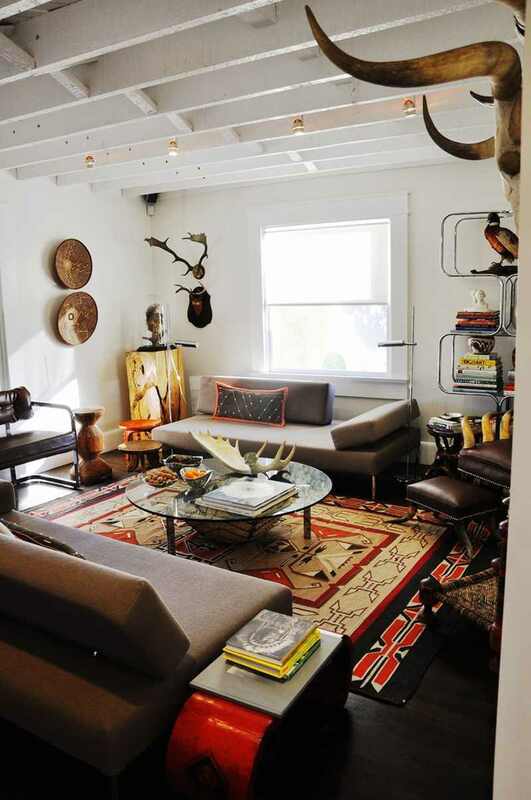 Inspiration for this trend also comes from animals and Native American illustrations looking to the past but with a modern twist and construction, antlers and sheep skulls work brilliantly. This trend is about creating a cosy and homely feel to a room. Warmth comes from heavy knitted & fur throws, vibrant printed rugs and cushions and if you are feeling brave go for a statement armchair or sofa in a strong pattern. All these elements bring the look together, even in an already white or nuetral room. The slightly rustic feel continues with hand crafted pieces in lighting, with illustrated furniture a key look. Solid units softened with pattern and colour in panels really help bring this look together. Pick and choose how far you want to go with the native trend, small details can go a long way so no need to over clutter.